In their brief time as a band, YONAKA have quickly emerged as the voice of a young generation that feels frustrated and disenfranchised. They have assumed the space that Nirvana, Hole, and Rage Against the Machine once occupied. With the backing of a major label and an alt-rock sound that is equivalent to 10 mega-tonnes of TnT, they have the potential to reach the high altitudes of the aforementioned bands, and their first EP of 2018, Teach Me to Fight, is their statement. The record is explosive, intense, and anthemic. Its four songs are made for the vast confines of Wembley Stadium or the endless expanse of Slane Castle. Opener “Fired Up” is raucous and electrifying super-charger that challenges all to defend their beliefs and freedoms. Despite its hesitant start, “Waves” evolves into one mind-blowing and roaring spectacle. The cathartic, rhythmic bombs and fiery guitar riffs set the tone for front woman Theresa Jarvis’ assertive vocals, which scream in the face of anyone who attempts to subdue her or comes at her with a gun. This is a song for the struggle, for those who which to never succumb to the manipulative and abusive power of a partner or a government. And teach me to fight”. YONAKA then get personal on the dark and heavy, “Wish You Were Somebody”. Their intent on the track is to ensure those who hurt them remember what they did. They will not allow them to forget. 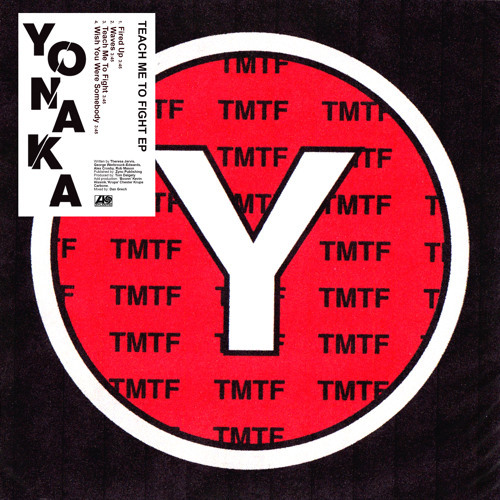 It’s not, however, just the victimizer who will forever know their names, but with a propulsive little record like Teach Me To Fight there’s no way anyone will forget who YONAKA are. In addition to Theresa Jarvis (vocals), YONAKA include George Edwards (guitar), Alex Crosby (bass/keys), and Robert Mason (drums). The EP is out on Atlantic Records UK.